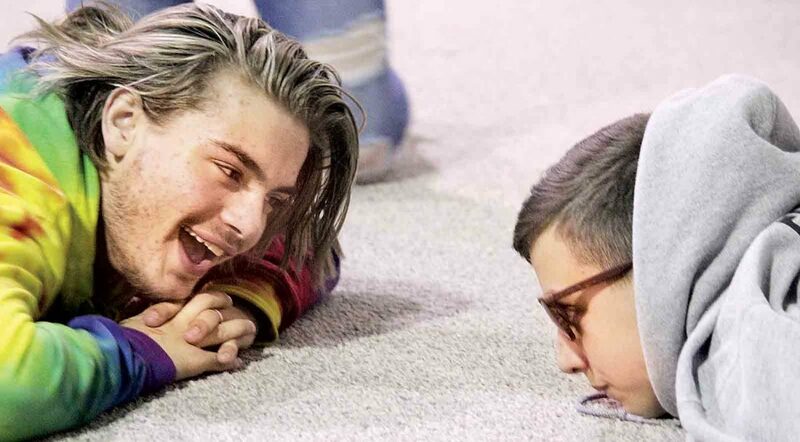 Photo by Michael Erb Garrett Honse, left, with the Guild Builders Teen Workshop at the Parkersburg Actors Guild, tries to get Edison Middle School seventh-grader Dylan Fleak, right, to smile during a game of “Night at the Museum” Friday as part of the sixth annual Arts Encounter. Those playing “statues” had to freeze in place while the “guards” attempted to catch them moving. 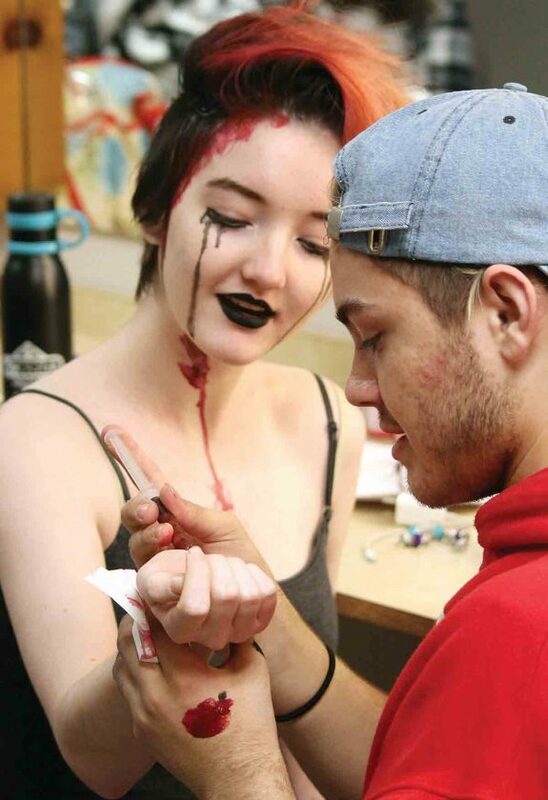 Photo by Michael Erb Trinity Jordan, left, has makeup and special effects applied by Gavin Honse, right, both with the Guild Builders Teen Workshop, as part of a makeup demonstration Friday during Arts Encounter at the Parkersburg Actors Guild. 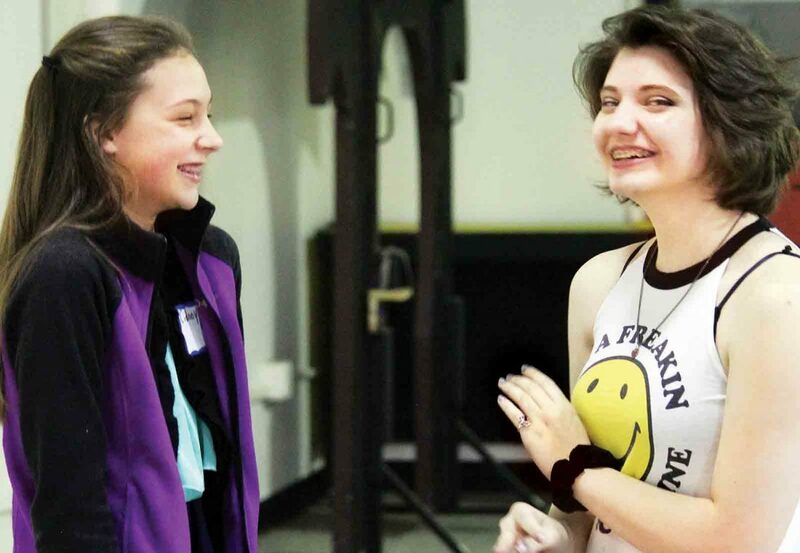 Photo by Michael Erb Edison Middle School seventh-grader Cidney Duke, left, and Becca Mendendorp, right, with the Guild Builders Teen Workshop, share a laugh during a game Friday at the Parkersburg Actors Guild. Middle school students from several area schools participated in the sixth annual Arts Encounter, which included tours and activities at the guild and the Parkersburg Art Center. PARKERSBURG — Middle school students throughout the region visited downtown Parkersburg Friday to participate in the sixth annual Arts Encounter. The program, sponsored by Artsbridge, is a special day of arts experiences for middle school students from Wood County and Washington County, Ohio. The event includes students from Belpre, Fort Frye, Frontier, Wolf Creek, Blennerhassett, Edison, Hamilton, Jackson, Van Devender and Williamstown middle schools. 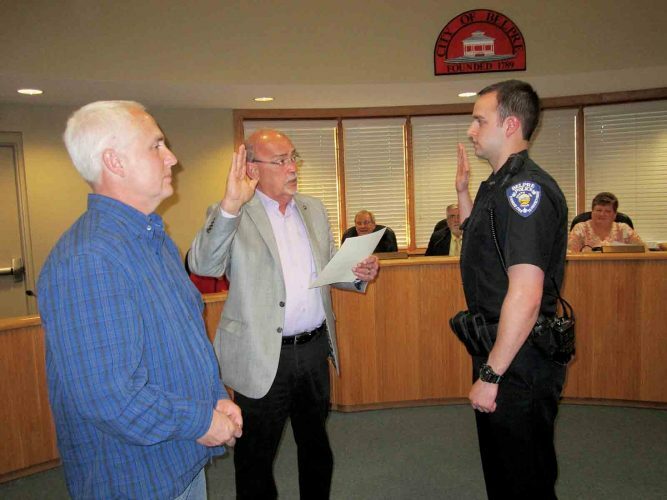 The goal of the event is to introduce students to the artistic and cultural offerings in downtown Parkersburg and actively engage them in the arts. Invited students are kept to an attendance of 60 each day to provide the opportunity for more hands-on experiences. 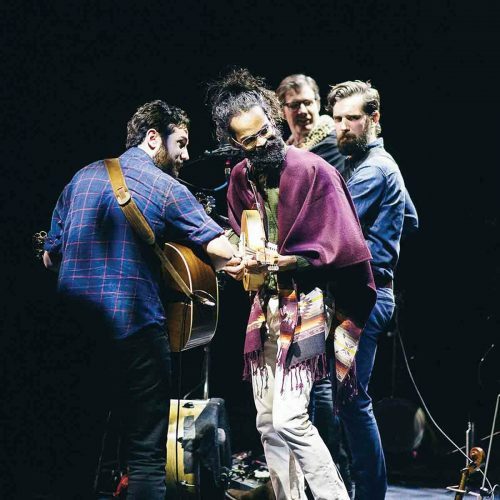 A second Arts Encounter event will be held April 12. Students and their teachers visited the Parkersburg Actors Guild for a performance of “Game of Tiaras” by the Guild Builders Teen Workshop. After the live performance, actors and tech crew answered questions and demonstrated make-up and stage technology. At the Parkersburg Art Center, students were given a tour of the facility and the current exhibits and participated in several art stations with local artists Melony Gingery and Joan Palmer. Students also had an opportunity to view the Warren Local Schools art exhibit displayed in the lobby area of the Artsbridge office. Artsbridge provided lunch for the students and teachers and all materials and supplies needed for the art station. Funding for Arts Encounter has been provided by Artsbridge through contributions to the United Arts Fund Drive and funding from the City of Vienna.